The SSC Ultimate Aero is an American-built mid-engine supercar by Shelby SuperCars. 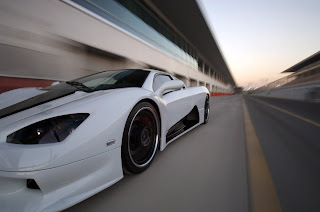 The higher-performance limited production version, the SSC Ultimate Aero TT produces more emissions-legal horsepower than any other production automobile in the world and previously held the Guinness Book of World Records record for being the fastest production car in the world (succeeded by the 2010 Bugatti Veyron Super Sport), with a recorded speed of 412.29 km/h (256.19 mph). This speed was achieved during tests on September 13, 2007 West Richland, Washington, United States and verified by Guinness World Records on October 9, 2007. This speed however does not reflect the SSC Ultimate Aero TT's full potential. 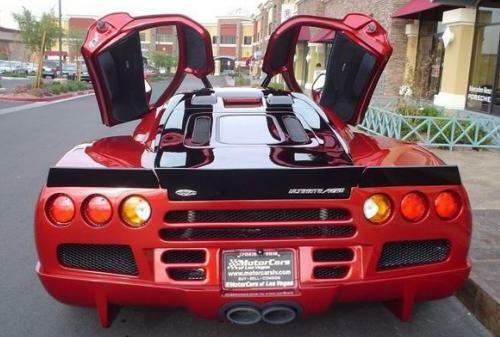 SSC estimates that the newer, more powerful and lighter weight 2009 Ultimate Aero TT is capable of a top speed of over 300 mph (480 km/h). The SSC Ultimate Aero does not have electronic aids such as ABS brakes or traction control because (to quote Jerod Shelby) "Early design philosophy on the car was to make it a drivers car. I wanted a car that you not only throttled with your right foot but at times you could steer with your right foot.". 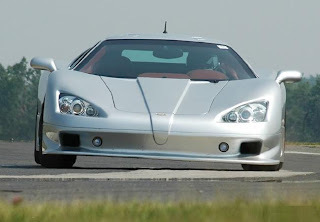 The Aero and the Shelby SuperCars company are the brainchildren of Jerod Shelby (no relation to retired racing driver and sportscar builder Carroll Shelby), who started out building exotic "replicars" including a Fiero-based Ferrari F355 replica and a Lamborghini Diablo replica based on a spaceframe which later was used in the SSC Ultimate Aero prototype. Jerod later moved from building replicas to designing his first Supercar and after seven years it finally began to take shape. 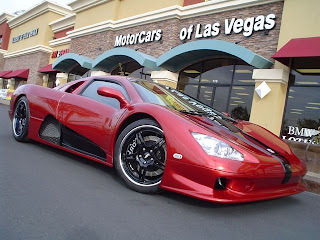 Although the basic Aero model is no longer produced, the SSC Ultimate Aero is still in production with an MSRP of around $650,000.